In our millennial generation diversity, equality and freedom should be normal, but sadly there are still some less than appropriate views and opinions dividing communities across the world and every June 'Pride Month' returns to build positive awareness campaigns to recognise the influence the LGBTQ community has across the globe and Nike have joined the party with 4 new poppin' releases. The Vapormax Plus hybrid combines the key ingredients of 2 of Nikes biggest silhouettes of the moment. The Vapormax and the Air Max Plus. 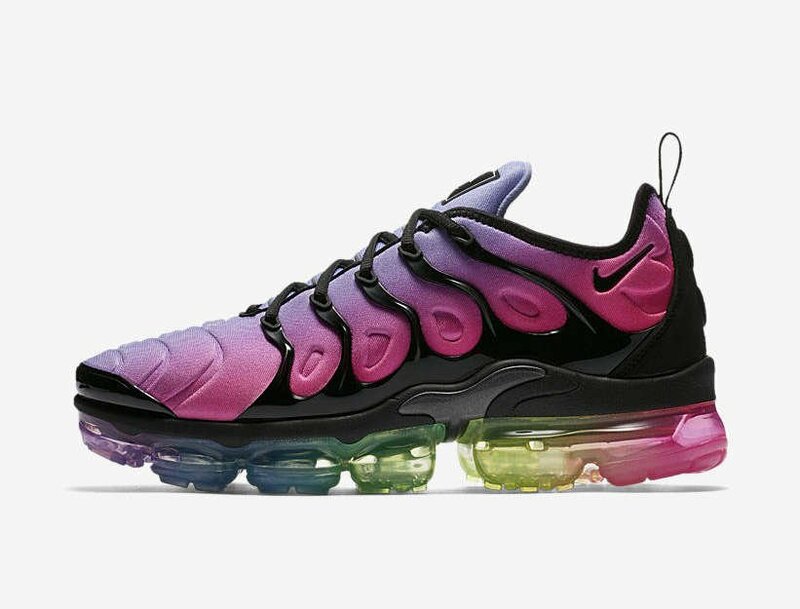 This 'BETRUE' colourways offers a light purple to pink graduated fade across the upper working from toe to heel complimented with a full length Rainbow air unit. All this colour is tied together with black accents on the TPU cage and toe bumper. On the Nike Air Max 270 'BETRUE' we see the OG mesh upper with translucent toe and side overlay with a hit of pink on the mini swoosh and 'AIR270' detailing. 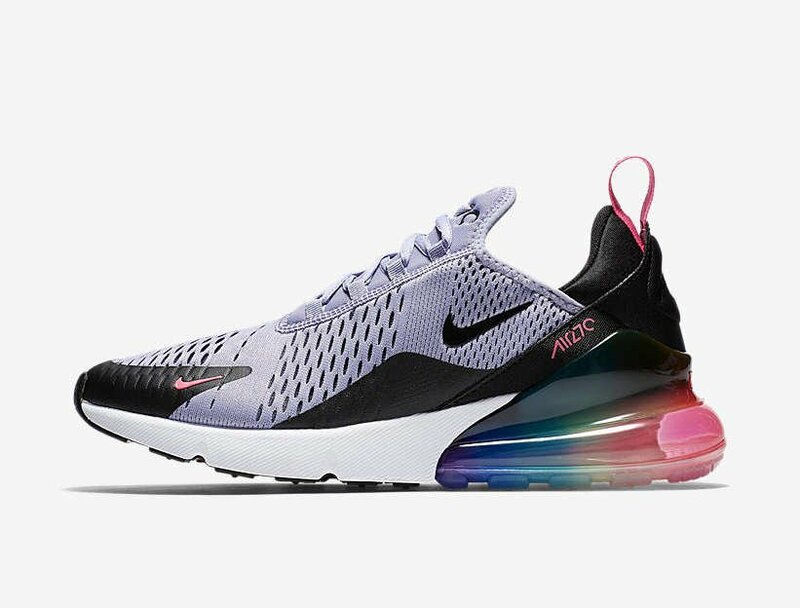 We also see Nike have given the Air Max 270 the full rainbow treatment on the 270 air unit as we see these iconic colours representing life, healing, sunlight, nature, peace and spirit. The Nike Zoom Fly has hit high levels for both performance and style. This super light competition spec runner weights in at just 248g and offers supreme comfort for all you road runners. Lets not forget it also look like a super slick style choice for those of you who train hard in the gym multiple times each week! You'll notice this wearable colourway has a fairly neutral palettes with subtle rainbow fades across the upper. The biggest pops of colour comes from the pink triangle on the heal inspired by racing car decals. 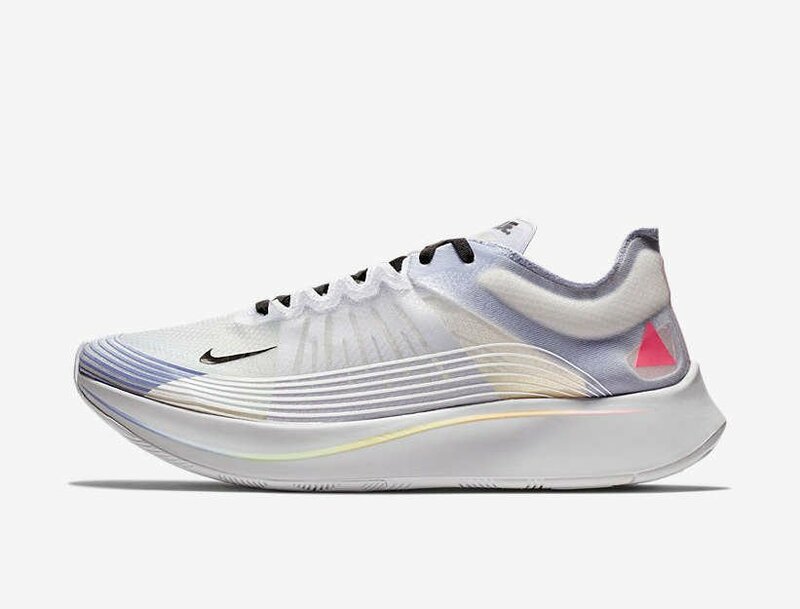 Its all about speed with the Nike Zoom Fly. 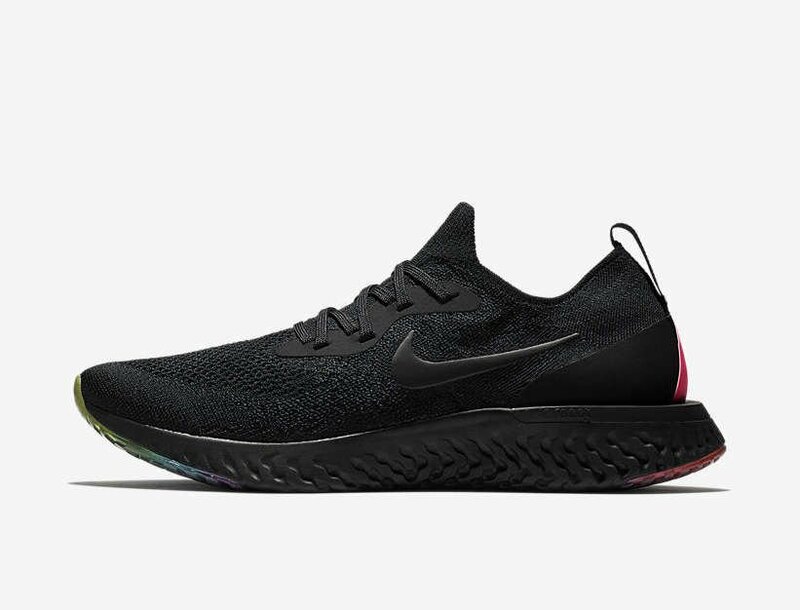 The sock like fit of the Nike Epic React Flyknit provides a snug and structured fit, when you consider it weighs in at a super light 239g means its fast across the ground too. Wrapped in a total black flyknit upper this 'BETRUE' edition offers slick and premium look and feel for the liberated minds out there. There is some colour and it comes in the way of a pink triangle heel decal and on the footbed. Like the majority of the 'BETRUE' collection the pride flag features on the sole and its the same here with the symbolic 6 colours embedded into a black translucent outsole.